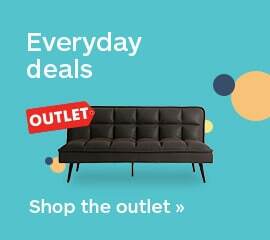 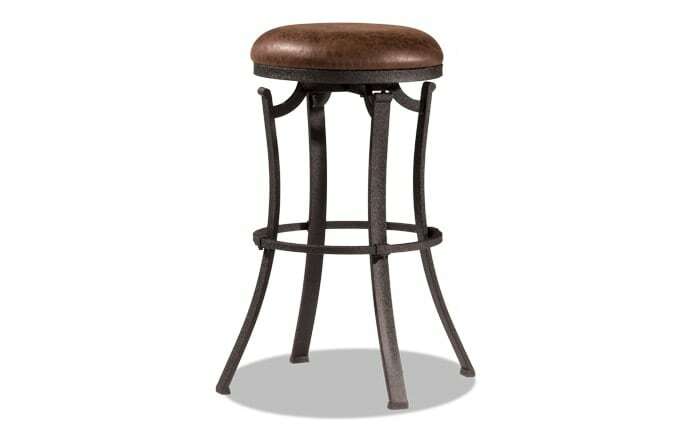 My Tate Swivel Stool oozes understated elegance! 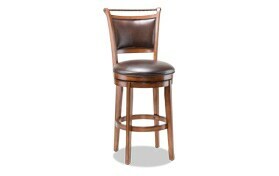 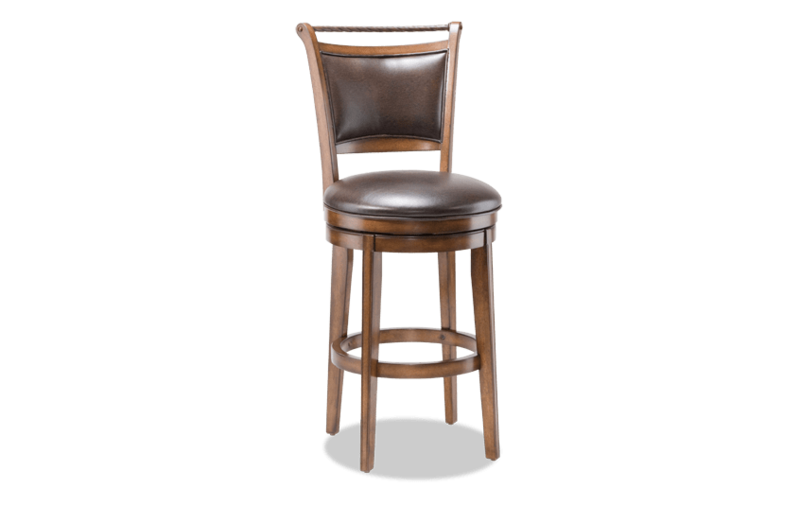 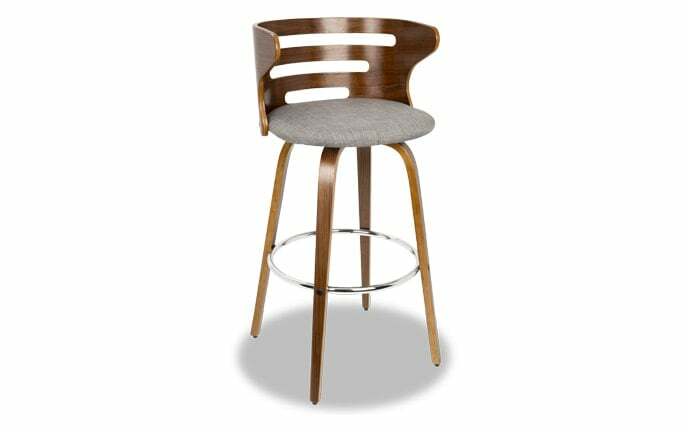 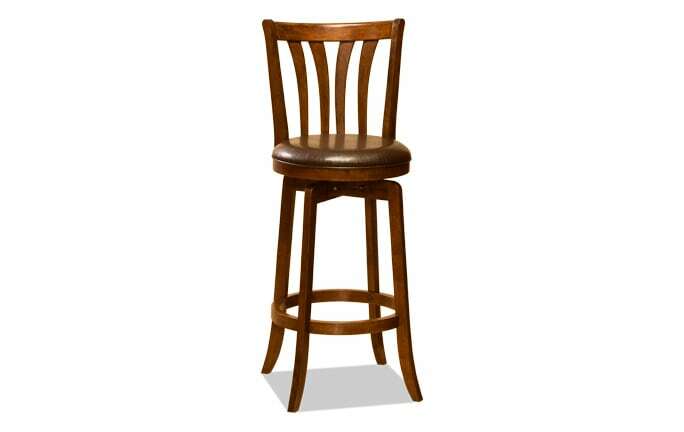 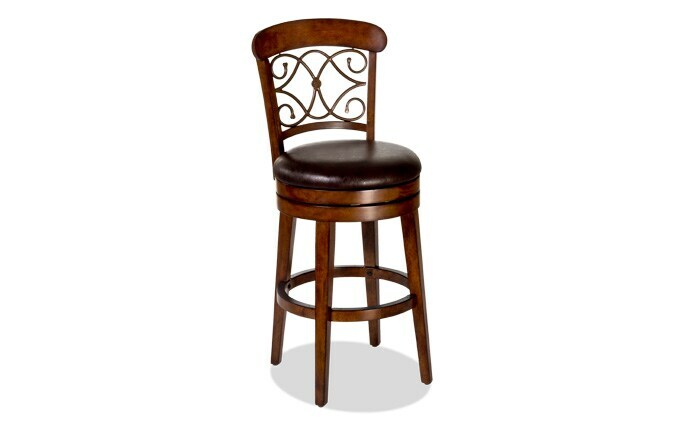 This handsome stool features a distressed brown cherry finish with upholstered seat and back panel in rich brown vinyl. 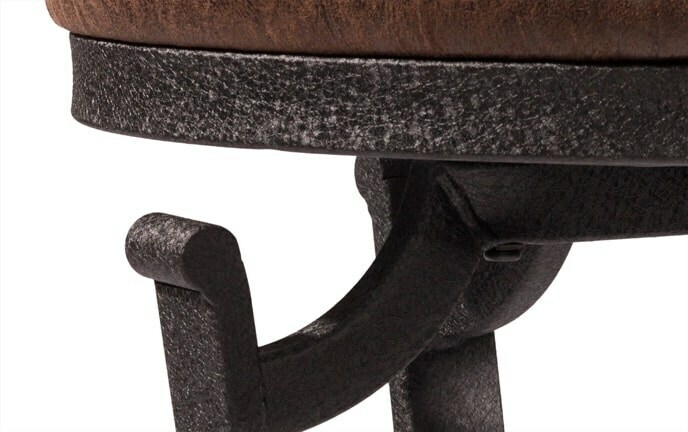 The seat back is topped with a decorative rope-like detail for added style. With a comfy seat that swivels 360-degrees, your guests may never want to leave!